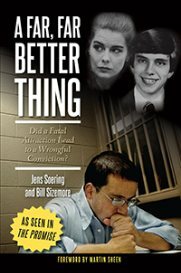 Jens Soering, one of Virginia’s most notorious prisoners, has been denied parole for the sixth time. In a letter to The Roanoke Times, Soering said he was informed last week that, once again, the state’s five-member parole board has deemed him unfit for early release. 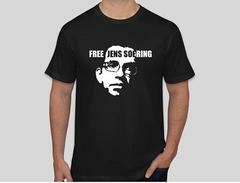 Helen Fahey, chairwoman of the board, confirmed Wednesday that Soering has been denied parole. Soering, 44, has been in prison for 24 years, serving two life sentences for the 1985 murders of his girlfriend's parents, Derek and Nancy Haysom of Bedford County. The parole denial comes a month after the U.S. Justice Department said it would not act on the German government’s request to send Soering to a German prison, where he could be eligible for release after two years. Soering, a student at the University of Virginia at the time of the Haysoms’ murder, is the son of a German diplomat. Soering’s effort to get to Germany infuriated Bedford residents and members of the Haysom family and also prompted an outcry from Virginia politicians, including Gov. Bob McDonnell. In a prison interview last month, Soering said he now pins his hopes for freedom on parole. He said he doesn’t anticipate being released as long as Fahey is chairwoman of the parole board. Fahey, appointed to the board by former Gov. Mark Warner, was the U.S. Attorney in Alexandria and top prosecutor in Arlington County. She declined to discuss Soering’s case, but suggested he has no legitimate complaint. The parole board's hard-line approach - it has one of the nation's lowest release rates - is being challenged in court by a group of inmates represented by the Legal Aid Justice Center and a Richmond law firm. The 11 inmates, who have been denied parole repeatedly, accuse the parole board of fixating on their crimes while ignoring other factors, such as their rehabilitation behind bars. Attorneys hope to broaden the suit to a class action case on behalf of nearly 5,000 inmates - including Soering - sentenced before parole was abolished in 1995. A federal judge in Richmond is considering a motion by the state to dismiss the lawsuit.